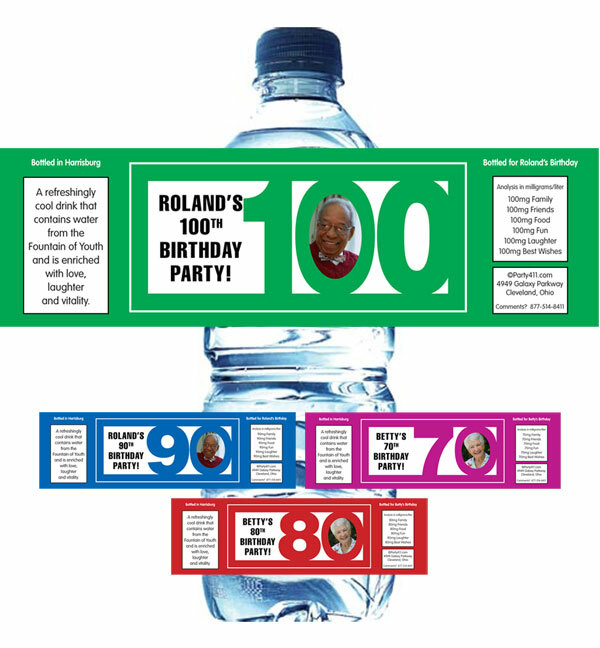 To quench your thirst while you dance all night! 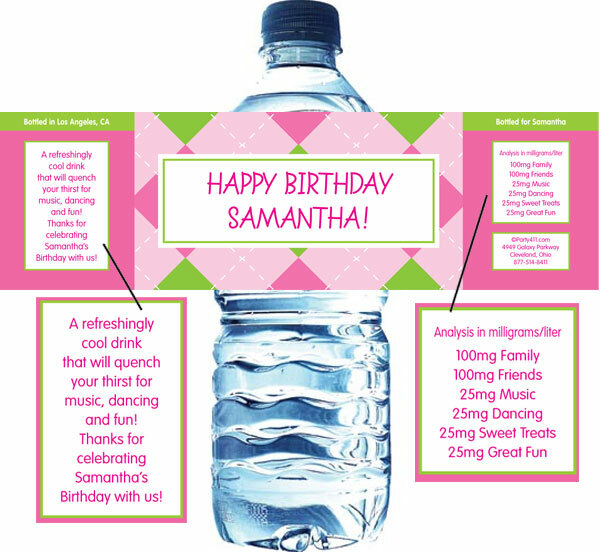 A fun birthday age choice label. 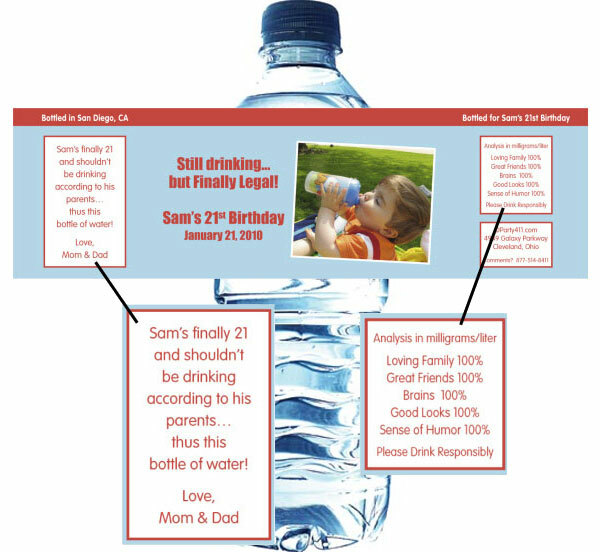 Bottle labels are an easy and fun birthday party favor! Groovy Party? 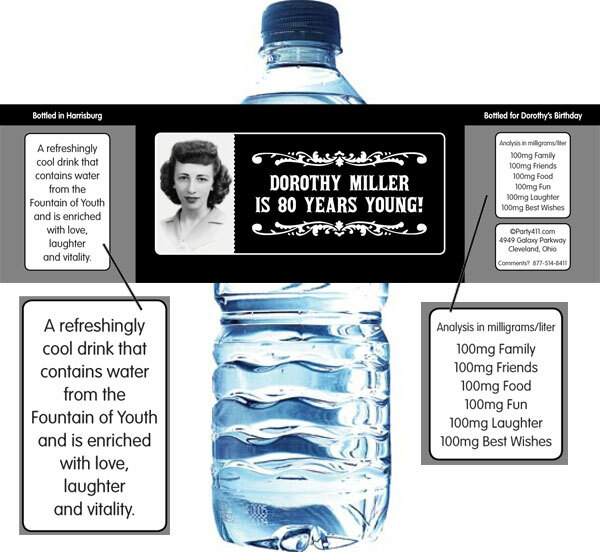 Groovy water Labels! Have a drink before going over the hill! 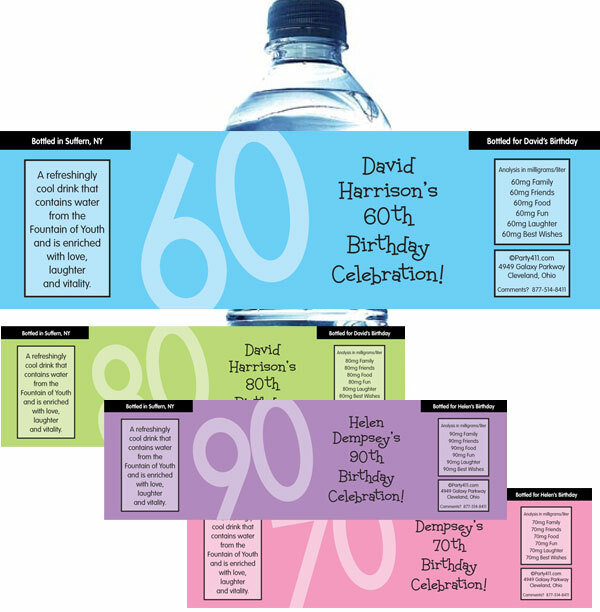 Choose any age on the tombstone and personalize with your wording. 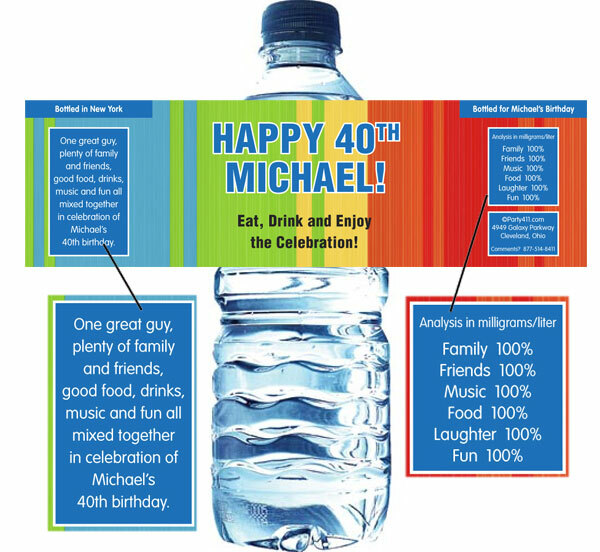 Have a drink and celebrate a milestone birthday. 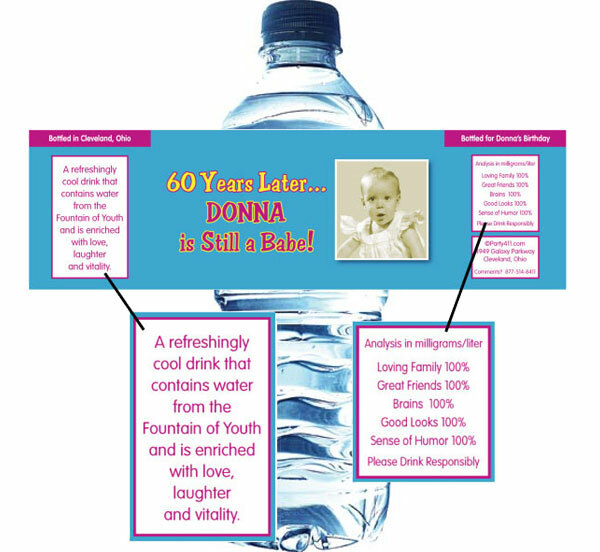 Personalize the label with 2 photos! 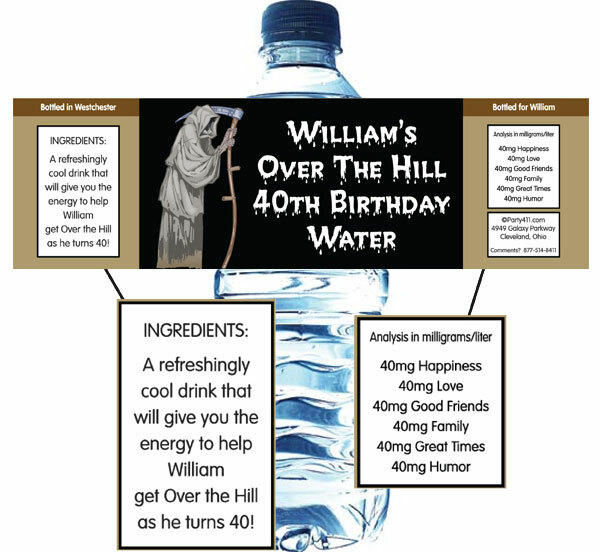 Have a drink before going over the hill!